I always believe that the Bible and Finance always go together, and it is in the bible where we can find principles that we can follow in order to succeed in our life. 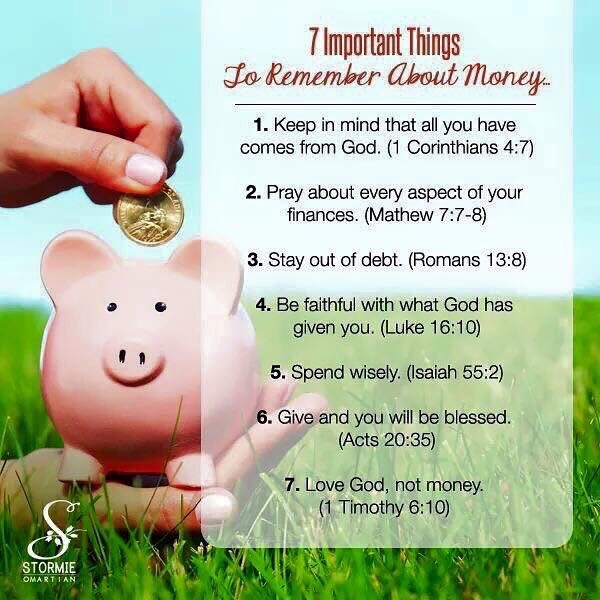 The picture below shared by Stormie in facebook shows the 7 Important Things to Remember About Money. The main idea is that everything comes from God and we should always acknowledge God on what we have. I Love # 7, which tells us to Love God and not the money, because if you love God, blessings will follow. Previous postAngat Pilipinas Desert Convention 2015 Next postDoes Everybody Need Life Insurance?